In today’s surplus society we are faced with endless choices, but, while everything may be better, brighter, and more varied, it is also increasingly the same. Companies have defined so much best practice that they are now more or less identical. To grow, they need to break out of a vicious cycle of competitive benchmarking and imitation. A passionate call for entrepreneurs at heart. 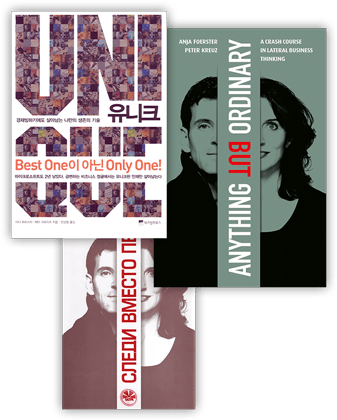 Anything But Ordinary is like a torch that ignites breakthrough thinking and creativity. 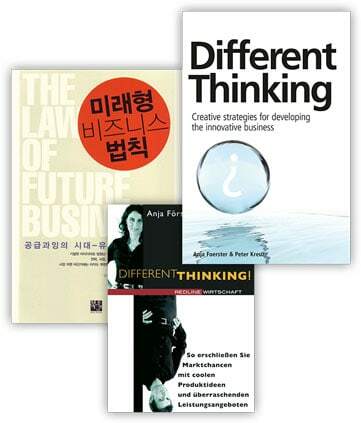 Written in a fully accessible and practical style, Different Thinking offers business and management practitioners the opportunity to re-energize, transform, and significantly increase the value of their organizations. This book clearly demonstrates that the future belongs to those who dare to take risks and are willing to challenge seemingly irrefutable ‘laws’ of their industry, and who seize the opportunity when it presents itself. This book is a revelation for those seeking to make a difference and with the courage to move forward and try something new: Different Thinking! The fourteen rules stimulate management’s gray cells. The high art of thinking differently!